I am a member of Team Snuggle and received products on hehalf of Snuggle. The opinions within this post are of my own and I was not influenced in any way. Please do your own research before purchasing products or using services. Your opinions and results may differ. 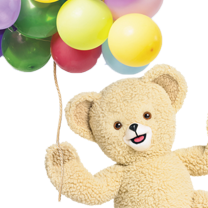 Snuggle Bear is reaching a big milestone - its 30th birthday celebration! An iconic advertising figure, Snuggle Bear equates with softness and gentleness. Snuggle Bear has been telling us about the softness of Snuggle laundry products for years and promoting a softer world. Snuggle Bear's birthday is a great way to share all the ways we impact the world around us, with our own soft actions. I, by no means, am a great guru in worldly impact. I see so many people in this world who take lots of time and effort to make a positive impression through charitable acts and deeds. But, I also know that even the small positive things matter. The world can be a much softer place if each person in it acts with eagerness to help others. Right now Adam, my 15 yoa son, has been diligently working on restoring a dollhouse he found in a classroom. It had been sitting untouched for eight years. After the dollhouse is complete, he is going to donate it to a children's hospital. That's the kind of stuff that makes me super proud of my kids! If I've done anything right, it has shown my children the great satisfaction that comes from helping and giving to others. We often donate food and other essentials to the local food pantry. I also often donate our gently used clothes, books and household items to a local organization that, in turns, gives them to needy families for free. Around Christmas each year we amp it up and donate toys and baked goods to several charities. It reaps great rewards by softening our hearts and showing we care. One person will win an assortment of Snuggle products. we donate to food drives and I teach my children to respect others and be kind. I knit baby blankets and prayer shawls to donate. We donate blankets and towels to our local Humane Society. We have donated our time at local food shelters and have plans to help even more. We sponsor 2 children in 3rd world countries, and donate food and clothes locally. We contribute towards the food bank, we also donate and buy from the goodwill. My son has 4 children under age 6 so we help them any way we can, re: babysitting, money, etc. We make the world a softer place by being respectful of others and courteous at all times. My family helps by donating food and clothing to our local shelter and senior center. We participate in American Heritage girls and we do community service projects. We are also collecting food this week for our community service project. We donate food and clothes to local shelters-- I also try to donate knitted and crocheted goods for those who are homeless. We donate to our local Fire Department and we donate all of our gently used clothing and blankets. We try to volunteer at our local animal shelter as often as possible. I usually donate food as well as volunteer at my local food bank! My kids and I say hello to everyone. We hold doors and say God bless you if someone sneezes. I have taught them that they may be the only nice thing in someones day to please always be kind. We do everything we can to support our local domestic violence shelter. We donate on a regular basis to those in need in a our community. I give a lot of my giveaway prizes to friends. We go out and help our neighbor do yard work or help them with other projects they are doing. Well, we try to be their for family whenever they need and donate a lot of goodwill, salvation army, girl scouts and local food drives. My boys have manners. I've noticed that a lot of people don't have the decency to say please, thank you or excuse me. I've taught my kids to always be kind to people. You never know what kind of day they are having, and a simple smile or hello could make their day. My wife and I help others by volunteering at local events. Try to be kind and helpful to my neighbors. Volunteering at a local school and at a Care Center for seniors. I volunteer with a number of organizations. We help wherever or however we can. I donate to people in need. I try to give food to food drives and misc household items to people in our community. We try to smile a lot and go out of our way to make others happy. I try and do something nice for someone every day, even small things. They mean a lot. Also,I volunteer at the local homeless shelter once a week. It is amazing how much it will brighten your week! I try to help my kids when they come over here with little gifts and things for the grandchildren! We have been volunteering at the local animal shelter. I try just to be nicer to people nd instead of ebaying items and clothing we can no longer use I bring them to our local thrift store that benefits local food pantries. We make it softer by being nice. We donate to our local food pantry and to our church. We donate food & clothing to the local shelter! We donate time and money to local causes. We donate clothes and food at a local church pantry. we donate clothing/toys/books,etc. to our local Union Mission. I make it a point to be kind to people and smile at strangers. i am leading an initiative at my college to educate students that getting pets such as cats then letting them go when you move out because you don't want them anymore is not the way to go! i am also helping to spay/neuter the many stray cats in my college area that are currently breeding and dying in sad high numbers! people need to take responsibility for their animals! and i plan to at least educate my college peers on this! We make the world a softer place by collecting nonperishable food items and toiletries for our local homeless shelter. I try to open doors for others when I can, take turns and let my elders go first. Simple things! We donate clothing and supplies. We teach our grandkids to treat others like you would want to be. No bully's allowed! We donate to the food pantry and animal shelter. We also teach the kids to be kind to others. We like to volunteer and help others! We make ourselves available to help any family or friends when they need us! We try to pay it forward.